A Labour candidate for East Worthing and Shoreham is hoping to be elected to Parliament as the first transgender MP. Sophie Cook, who is currently a television presenter, has previously worked as an RAF engineer in West Germany during the Cold War and as a football club photographer. Ms Cook, who has three children and lives in Brighton, said she was ‘terrified’ that she would lose everything when she came out in 2015, but described the reception as positive ‘with many declaring that it’s time for greater diversity in Parliament’. She is a hate crime ambassador for Sussex Police and regularly speaks at conferences about LGBT issues. The East Worthing and Shoreham constituency has been held by Tory MP Tim Loughton since 1997 and he is defending a nearly 15,000 vote majority from Labour. 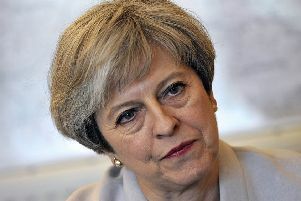 Prime Minister Theresa May has called a general election for Thursday June 8. Ms Cook said: “We need to work together to ensure that our children can grow up in a country where their health and education are priorities. Where there are jobs for their future and where difference is celebrated. “The Labour Party has pledged to build one million homes so that our children can in turn begin their own families in safety. “Education for all, health care for all and homes for all. The time for change is now, a united Labour Party working for a United Kingdom. Constituency chair Irene Reed added: “Sophie is a very experienced campaigner and she’ll be bringing her trademark determination, passion and good humour to the campaign.